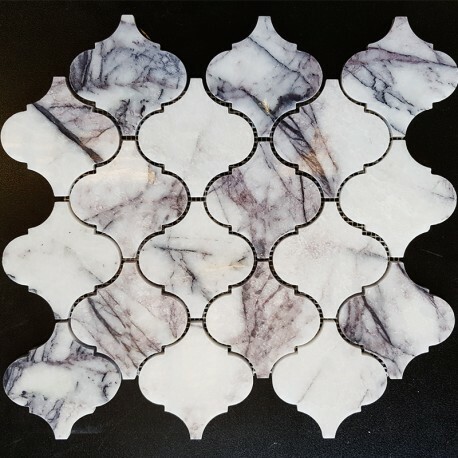 New York Marble is a unique translucent white marble, with dramatic dark purple veins. It is a very unique natural stone that brings beauty and value to your property. 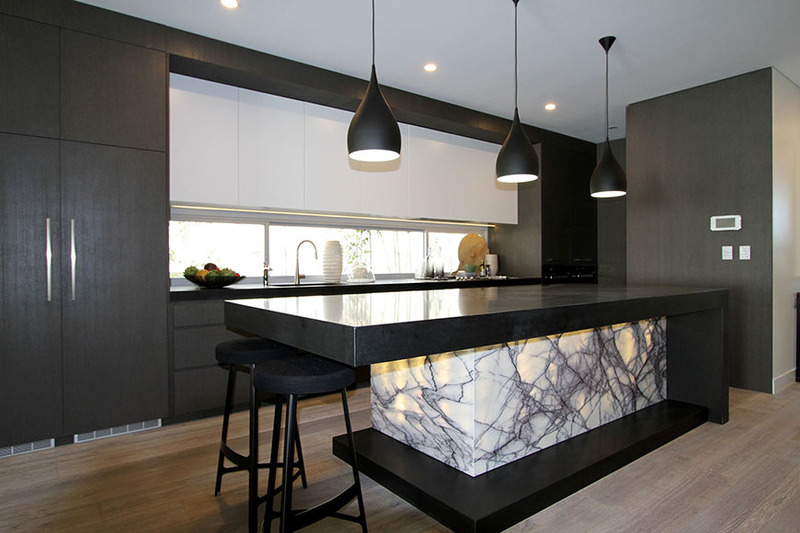 New York marble is one of the few stone tiles that has a backlit feature. Which means the back of the stone could be illuminated via artificial light to create a nice feature. New York Marble contains dramatic veins. This luxurious natural stone could be used by itself, matched, or contrasted with other natural stone products. New York marble is a unique natural stone capable of adding beauty and value to your property. New York marble is available in a number of different patterns and formats. Tiles of this natural stone are finished in honed and polished to suit different applications. 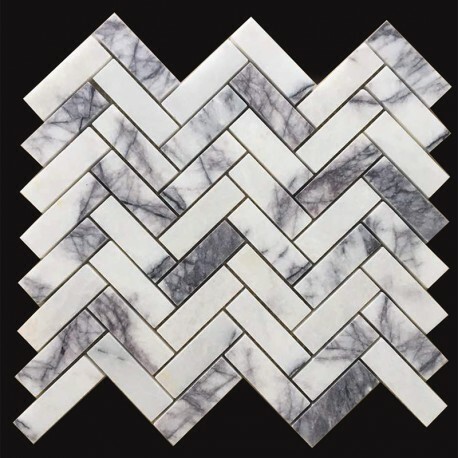 New York marble is also produced in subway tiles, herringbone, and arabesque mosaic sheets in different sizes. 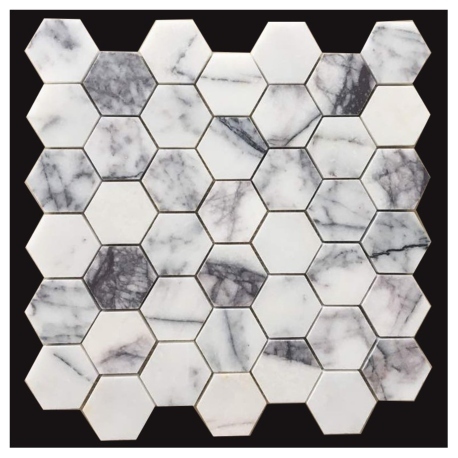 New York marble mosaic sheets and tiles are suitable for indoor applications however polished tiles are generally not recommended for bathroom floor since they offer less slip resistance in comparison with honed tiles. Slabs of New York Marble are very popular. They are often used to build sophisticated splashbacks, counter and vanity tops. Marble and ceramic corp is the leading importer and distributor of high-quality natural stone. Our prices are the most competitive and our range of product is vast. In addition, Marble and Ceramic Corp delivers its products Australia wide. Please feel free to visit our showrooms for more information.